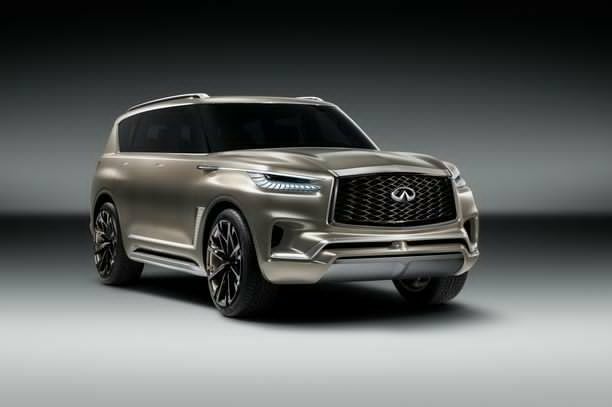 Here's the full-size 2017 model of the Infiniti QX80 Monograph, looking even bolder and furious than ever before. Very generous in aesthetic design and flashy both inside and out. It looks a lot more like the QX50 concept which Infiniti premiered at the Detroit Auto Show earlier this year. 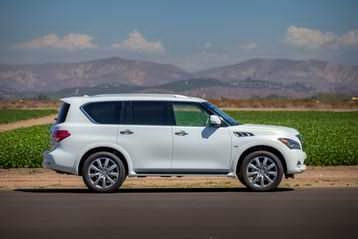 The Japanese automobile now rocks a more powerful engine and interior features with a boxy design sort of. 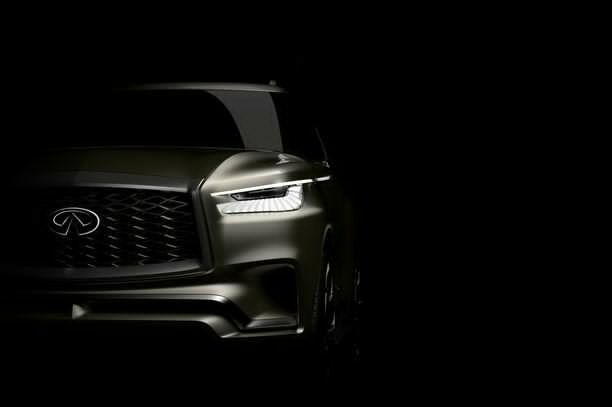 The new SUV is scheduled to debut this April at the New York Auto Show. The Infiniti QX80 Monograph shows off a taller and wider grille as well as slimmer headlights with a unique lighting signature. 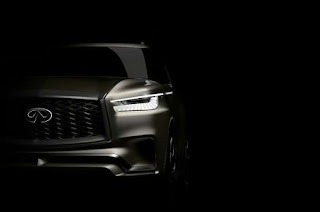 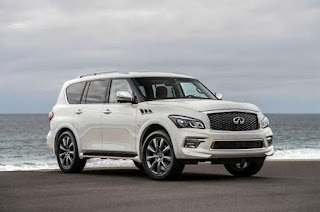 It is expected to borrow design styles from the QX80 concept.